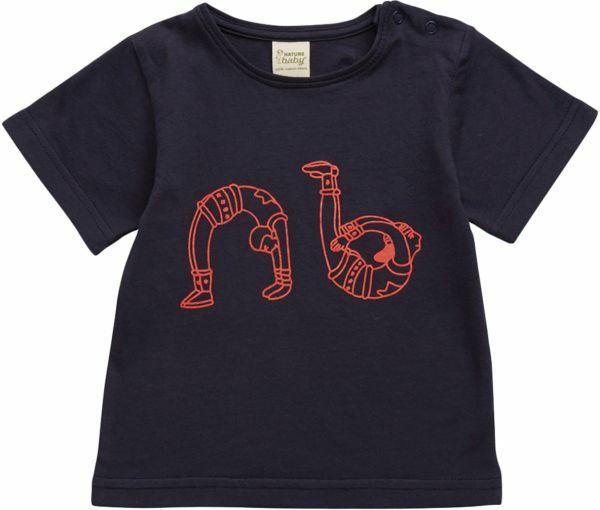 A soft jersey organic cotton T-shirt printed with a Contortionist Print. A relaxed comfortable fit for boys and girls. Organic cotton jersey has great hold and maintains it's shape. Care Instructions: Machine wash in cold or warm water with environmentally friendly laundry detergent. Tumble dry on low or line dry. Do not use fabric softener or bleach.